The Center for Maine Contemporary Art. The Center for Maine Contemporary Art will not reopen until late next month, after sustaining water damage in January. The Rockland-based museum, which opened in its new downtown location less than three years ago, sustained damage last month after a water main broke, causing flooding inside the museum. The museum is undergoing repairs and will reopen to the public on March 23, according to CMCA Executive Director Suzette McAvoy. The repairs and cleanup should conclude by the end of February and museum staff will then begin installing the museum’s new exhibitions. No artwork was damaged during the Jan. 19 water main break. About 2 inches of water spread across most of the building, with the museum’s mechanical room seeing the worst damage. The museum’s programming for children will still be held during this month’s school break, as the museum’s classrooms and offices were not damaged, McAvoy said. The CMCA moved to its new $3.8 million facility just off Main Street in Rockland in 2016 after being located in neighboring Rockport for decades. The museum has added to Rockland’s growing reputation as an arts destination in Maine. The CMCA focuses on showcasing the work of contemporary artists who either live in Maine or who have strong ties to the state. 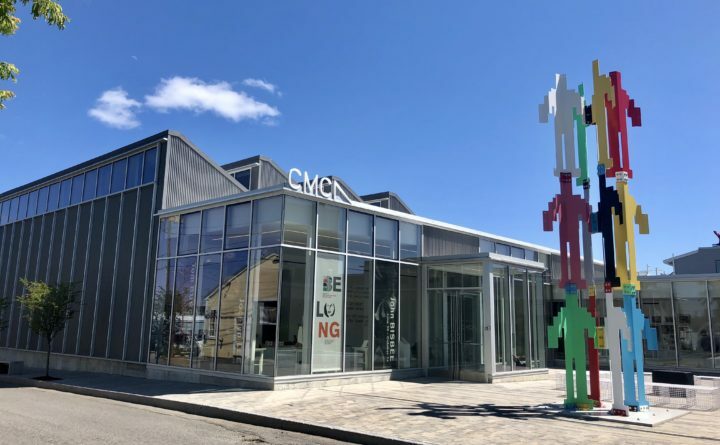 Since moving to Rockland, the CMCA has seen its annual visitor numbers grow from about 8,000 in Rockport, to about 40,000 at the new facility, McAvoy previously told the Bangor Daily News. Last year, the CMCA won the Governor’s Award for Tourism Excellence.